Red transluscent plastic pins, star-shaped with a circle in the middle. 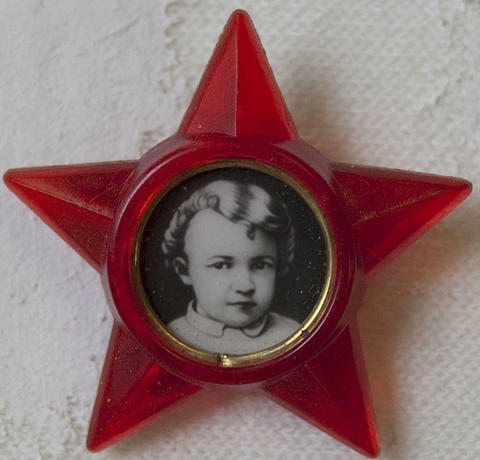 The face of a young Lenin is depicted in the circle in the form of a print on paper, with plastic covering and metal framing ring. There is a metal pin clasp attached to the back. The back of the plastic is marked with a star/'H' symbol.